It was a big night for Barry and The Marvelous Mrs. Maisel in the comedy categories, and The Assassination Of Gianni Versace: American Crime Story and, um, Godless in the limited-series categories. The drama categories have been more varied: Claire Foy won the Best Actress in a Drama Series award we felt rightly belonged to Keri Russell, although her onscreen husband Matthew Rhys took the Best Actor award. 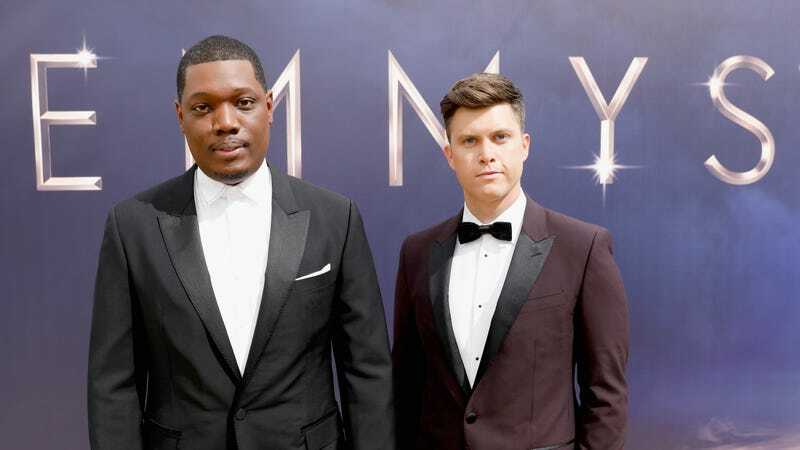 Despite near-constant mention of the diversity of tonight’s pool of nominees, the vast majority of this year’s winners were white, in a broadcast that even hosts Michael Che and Colin Jost seemed to have difficulty getting too excited about. (Last season of Game Of Thrones wasn’t even that good, honestly?) But hey, John Mulaney won an Emmy! Nevertheless, congratulations to all of tonight’s winners—especially Outstanding Directing For A Variety Special winner Glenn Weiss and his now-fianceé, to whom he proposed live during tonight’s telecast. A full list of winners from tonight’s telecast is below, and you can catch up with all the expert analysis on The A.V. Club’s Emmys liveblog here. Which actors will win, and which should win, at the 2018 Emmys?